Summer is fast approaching. We cannot wait to be out of our houses and onto beaches, soccer fields and cottage decks! We all spend a little more time away from our homes in the summer. Who can blame us? The last thing you need to worry about when you’re away on vacation is what could be going wrong at home. Luckily, you can depend on your smart home security system to help monitor your home and keep it protected. There are a few ways that your smart home system can be used to deter thieves and notify you in real time. Want to know exactly when your teenager got home from work or confirm that your Amazon package was, in fact, delivered today? Video doorbells detect movement or are activated by someone ringing the doorbell. They are very real! They make it seem like you are home by letting you chat with the person at the door, connecting seamlessly to your mobile device. Gone are the days where you need to worry about turning off the furnace when you leave for fear of fire or a leak. You can connect your smart smoke alarm system to your smart thermostat for a seamless understanding of your home’s natural patterns. Not only does this system learn when to turn on your furnace depending on your work schedule, it can also automatically turn off your appliances if they are left on for too long, or if it senses elevated levels of toxins. Many crimes are crimes of opportunity. Why not make it look like you aren’t even away? Instead of having your lights all on, or all off, use a timer to mimic your normal movement patterns. You can do this the “old-school” way with wall timers, or you can use a programmable system. The latter lets you set it and leave it, or manually adjust your lights remotely from your smartphone. You’ve got to display the fact that you’ve got a smart security system if you want to deter potential thieves. Setting up your cameras so that they have the best view but can also be seen by thieves is a great place to start. A smart security system will let you tap into your feed right from your mobile device, so you can always know what’s going on. It can also alert you or your emergency contact as soon as it detects something suspicious. Is your emergency contact a neighbour or close relative? Having someone who can respond quickly to an alert is key! A good alarm system, security lights and on-the-go monitoring are all good ways to make the opportunist thief think twice. And automated thermostats can protect your home from flood, fire or gas by being able to cut off power to the source, automatically. 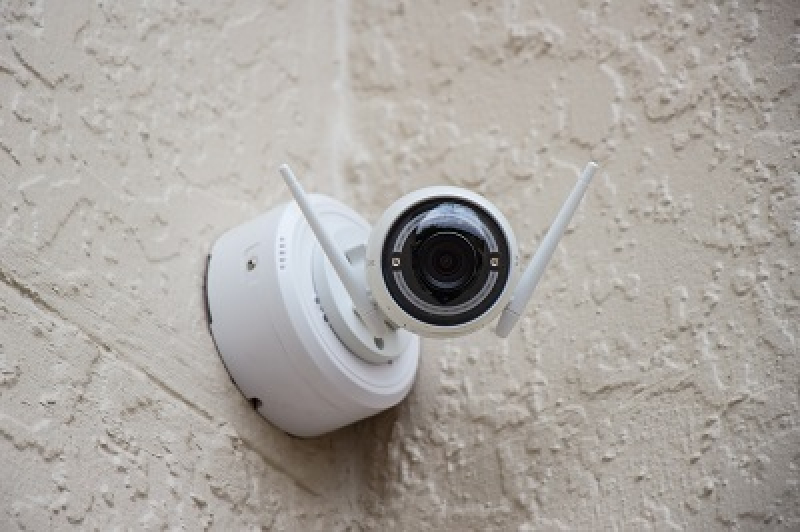 If you want to make sure that your home is properly protected or let us know about the new smart home security additions you’ve made to reduce risk, contact your broker or send us a message today.